May 3 rest ? ? ? June 21 rest ? ? ? July 26 rest ? ? ? We needed to win our last league game of the season to secure the Division 3 title and we did so in style. Fielding has often been our Achilles heel this season but not in this game. Strong pitching (and fielding) from Steve, an impressive performance on 3rd by Sally and good work all round in the outfield were the highlights of a really good team defensive performance. We batted well in the first two innings and built up a big lead that we then defended well through the rest of the game. James was the only person to bat 1000, going 4 for 4 with an important Home Run in the top of the 7th, a 2 run shot that gave us valuable breathing space. 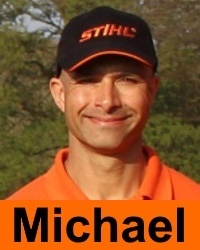 Michael also homered taking his season (league) total to 19 home runs. Drizzle scored 4 in the bottom of the 5th but we did not panic and shut them out in the last two innings to close out the win and the championship. All the best to Tony, who bowed out a winner when he retired as a player after this game. Won by forfeit as the Hackers couldn't raise a team. The Outlaws, boosted by their 2 higher division guests, were a much stronger team than the last time we played them, and that was reflected in this game. 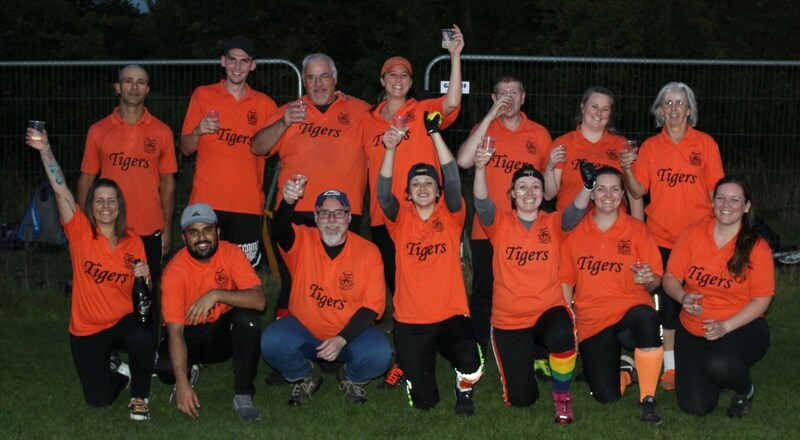 Our fielding has always been our main weakness this season and the Outlaws took full advantage as they ran away with the game in the later innings. Best in the field were TK, who was reliable as ever on 1st, and Steve who worked hard at 2nd with the highlight a well turned double play. Annie also stood out, taking a nice catch on a pop up and getting a good tag out at home. Batting super hero was Mike who batted 1000, going 4 for 4 with 4 Home Runs. Emma and TK also batted 1000 and TK was our other Home Run hero. NB: Bad light brought the game to an early end, meaning that we only played 6 innings. A defensively shaky first half of the game, in which we did not bat well at all, was followed by a somewhat less shaky second half, in which the batting was a lot better and eventually we somehow came away with the win. 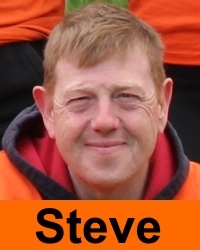 This week's Home Run hero was Steve with an impressive blast over the head of the left fielder in the 6th. Looking at on base percentage James was the leader of the pack, going 4 for 4, followed by a whole rake of people who went 3 for 4. 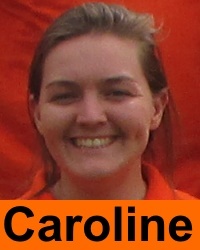 The other stand out performer under pressure was Caroline, who deserves a special mention for driving in the winning run in the bottom of the 7th. In the field Sally showed some nice touches at 3rd, Steve looked good after a mid-game move to 2nd and Dave pitched well in relief. TK was solid on 1st and James was the pick of the bunch in the outfield showing good range and doing a good job of work backing up his team mates. Lots of runs (on both sides) were the most obvious feature of our win against an inexperienced, though talented, Outlaws team. Defensive errors from both teams helped the scoring along and meant this was perhaps not a game for the purist. That said we did actually bat well in this game. OBP leaders were Mike, Emma and Tony who all batted 1000 and there were also lots of other good contributions up and down the order. Home Run heroes were Sully with one and Mike with a pair. In the field Steve pitched well and TK was as reliable as ever on 1st. Mike made a couple of nice catches on pop ups and turned a nice double play. A really good team performance, against a big hitting Hackers team, that was based on some impressive infield defence. 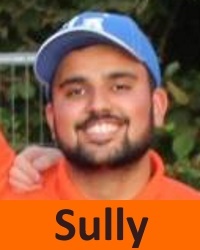 Sully put in his best performance yet at short stop, Mike was equally good at 3rd, Jackie put in a good performance at 1st and Holly looked promising at 2nd. Steve pitched effectively and also fielded his position well. In the outfield Caroline took a nice catch in right field and, after a bit of initial rustiness after a couple of weeks off, Rob got better and better in left centre as the game went on. Sully, Mike and Rob were the OBP leaders, all going 4 for 4. Annie was the best of the women, going 3 for 4. Home Run Heroes were Mike with a brace and Steve with one. Rookie Emily also deserves a mention, going 2 for 4 in her first ever game. An efficient performance against a very inexperienced Phoenix team in a game that ended up as a soggy affair as the recent drought came to an end. We had another good week at the plate, hitting the ball hard and running aggressively. OBP leaders were TK, Holly, Michael and Steve who all went 5 for 5. There were four Home Run heroes, Emma and Steve each hit one, with Michael and guest Dan each claiming two. In the field Steve pitched well, conceding only three hits in recording the shut out. 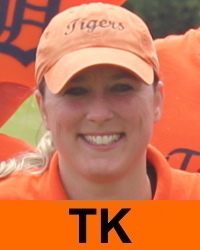 TK was the other stand out performer with some good catches in left field. Emma also took a good outfield catch to finish the game. All the best to Phoenix pitcher Chloe who took a nasty blow to the wrist, and thanks to Dan who made his (temporary) return to the team in our hour of need. A see saw game in which batting 2nd was a definite advantage. The hardness of the pitch made every ground ball an adventure and contributed to our looking shaky defensively all the way through the game. In the end that defensive frailty and some good hitting from the Rebels cost us the win after we had twice held large leads. On the plus side they also struggled in the field and it was good news for the batting averages of most people who played ! 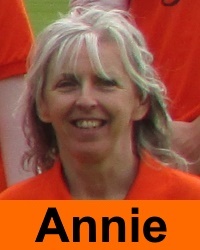 Batting leaders were Annie (6 for 6) and Steve (5 for 5) who each batted 1000. 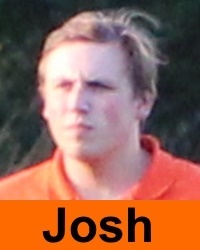 Home Run heroes were TK who hit two and also Steve and debutant Josh with 1 apiece. There were lots of other strong performances up and down the line up. Defensively Rob was the best of the outfielders, Tony did some good work on 2nd, Annie took some nice catches on pop ups at catcher and Dave pitched well. In his first game (and only 3 days after his first practice session) Josh looked very promising both at bat and in the field. Another strong performance gave the Tigers the win and revenge for our opening day defeat. After a feisty start and an early deficit our 8 run burst in the bottom of the 2nd gave us a large lead we never seriously looked like losing (despite the captain&apos;s best endeavours !). At the plate OBP leaders were Mike (4 for 4) and Caroline (3 for 3) who each batted 1000. Best of the rest were Rob (3 for 4) and James and Sally (each 2 for 3). Home Run Heroes were James with one and Mike with a pair. In the field Steve put in another good pitching performance. TK did a great job battling the sun at 1st. 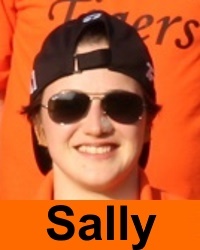 Sally made some nice plays at 3rd, Rob put in (another) fine outfield performance, Mike turned another eye catching double play at short stop and Emma made a nice catch in right field. Holly made her team debut and Josh came along to watch and will hopefully be coming down to training soon. The best Tigers performance of the season so far. Strong batting and improved defence combined to produce a fine win. We went behind early but an eleven run second inning gave us a big lead that we never looked like losing. OBP leaders were Steve (5 for 5) and Caroline (4 for 4). Home Run heroes were Sully (1) and Mike (2).There were lots of other good batting performances throughout the line-up. We also ran the bases well, looking for the extra base and putting the opposition under pressure. In the field we looked much improved. Sully looked very promising at short stop, Steve pitched well again, Jackie and TK were good on 2nd and 1st , debutant Chen was energetic on 3rd and all the outfield worked hard throughout the game, with lots of team work and backing up. A tough day at the office. The defensive frailties that have plagued us all season were painfully obvious again and the bats were quiet for once, the Outlaws efficient outfield being just that little bit too good for us. Another Tigers win in another see saw game. 14-5 down half way through the 4th our hitting clicked into gear and we won going away with the aid of a 12 run 5th inning. Steve sneakily nabbed the OBP lead, going for 2 for 2 after entering the game half way through, a short head in front of Tony, Sully, Mike and Rob who all went 4 for 5. Female leaders were TK and Annie who each went 3 for 5. Home Run heroes were Sully and Mike with one apiece. In the field Mike and Steve both pitched well. Sally made a promising debut on 3rd, Rob was excellent again in the outfield, TK played well on 1st and Tony had a good game on 2nd. Another strong batting performance was central to this win over a Phoenix team featuring several rookies. Four players, Sully, Sally, James and Alyssa, all batted 1000. James hit the first Home Run of his Softball career with Mike also recording a four-bagger. 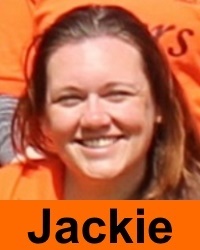 There were no female Home Runs, but Jackie, Alyssa and TK all hit triples. As was the case last week there were strong performances up and down the line-up. In the field we looked a bit hesitant. This wasn&apos;t entirely unexpected with a few people playing in unfamiliar positions and the hard ground and fast outfield maximising the impact of any miscues. 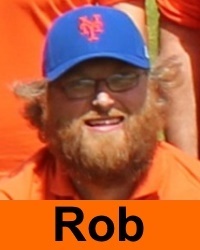 Rob was the stand out performer, looking really good in left field and Steve pitched well again. 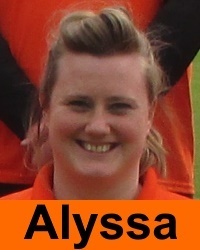 Alyssa took a tumble in the outfield when she and James pursued the same ball with perhaps a rather too single minded intensity and collided, but no serious harm ensued. The Tigers chalked up their first league win of 2018 in a roller coaster game against the Rebels. Both sides hit well, though both were also helped at the plate by some uneven fielding in a game that went on well into the evening. OBP leaders were debutants Mario and James, who each went 4 for 4. Leading the way for the women were TK (4 for 5) and Jackie (3 for 4). Mario was the Home Run King with a brace, Michael got one and was robbed of another by the undergrowth, being left with only a ground rule double. In the field Steve pitched well again, TK was good on 1st, Mario took some nice catches in the outfield and Mike worked hard at short stop, with the highlight a really well worked 6-3 double play. Overall this was a really encouraging performance with impressive hitting up and down the line up. One person who deserves a special mention is James. in his first ever game of softball he looked really promising and will only get better as he gets more games under his belt. An under strength Tigers team were well beaten by an efficient Drizzle line up that pulled away in the 3rd and never looked likely to lose their lead after that. Batting leaders were Tony, Mike (each 4/4) and Emma (3 for 3), who all batted 1000. In the field Steve both pitched and fielded his position well, and Alyssa and Rob were the stars of the outfield. In his first outing of the year Sully improved throughout the game, Michael worked hard at short and Jackie looked solid at third base.